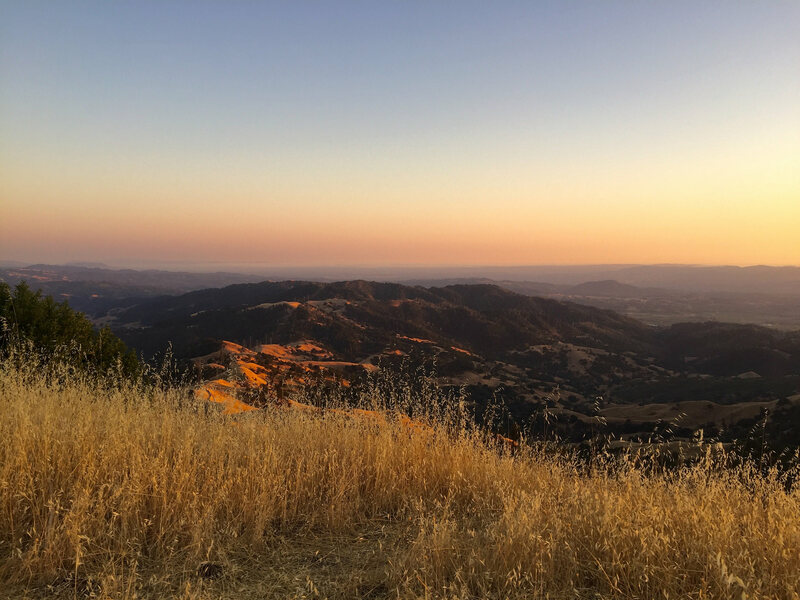 Since late February, Living with Lions team has captured six lions spanning the southern Mayacamas and Sonoma Mountain area. Two of these lions were study subjects recaptured to replace failing GPS collar batteries and check overall health. Four others are new lions in our study and their movements are already giving us a better understanding of the lion landscape. P6, who is the surviving offspring from P1's 2017 litter of three, was captured weeks prior to her dispersal from mom. Since leaving 'home,' P6, now 13 months old, has proven to be a good hunter as indicated by the remains of a couple of large does cached at one of her feeding sites. ACR’s Living with Lions project has formed a new partnership with Dr. Justin Brashares and the Brashares Lab of UC Berkeley. “Collaborating with one of the top research groups and universities in conservation science will allow us to enrich our unique skill sets,” said John Petersen, ACR’s executive director. 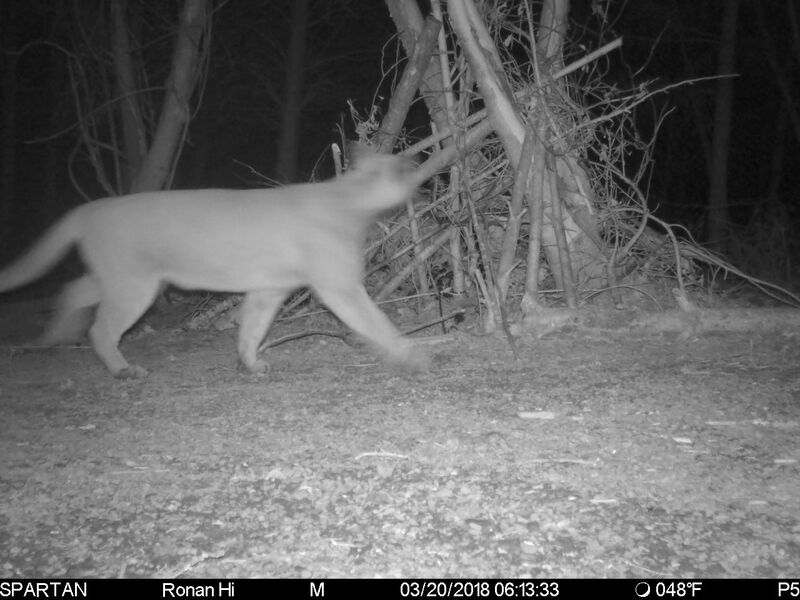 In California, mountain lions are at the top of the food chain and play critical roles in the maintenance and functioning of their ecosystems. 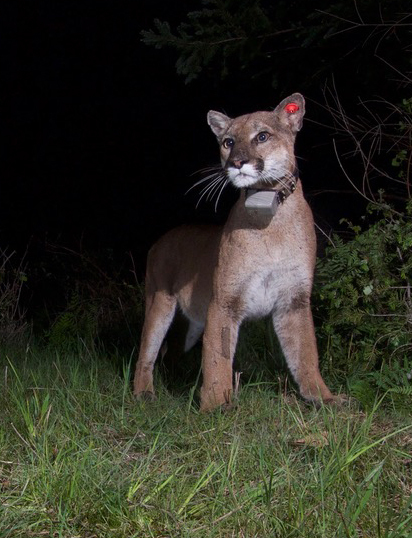 In our region, mountain lions’ preferred prey are deer. Disruptions in the population of this key predator can affect deer behavior and populations, causing a number of impacts in the system. Yet mountain lions themselves live a fragile existence as more of us choose to live and play in wild places. Although human and lion confrontations have been infinitely small, protecting pets and livestock from being attacked remains a challenge. Although livestock form a small percentage of their diet, lions are opportunists when it comes to attacking unsecured pets or stock. 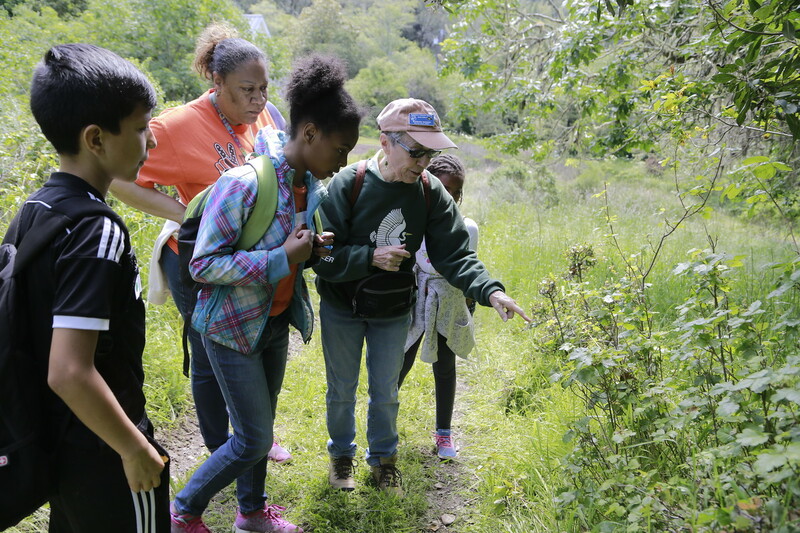 With nearly 75% of the Bouverie Preserve burned during last fall's Nuns Fire, we weren’t sure how or when we would be able to welcome the region's 3rd and 4th grade schoolchildren back on the land. Trails and trail infrastructure were blocked or completely destroyed, and all of our public facilities were lost. However, shortly after the fire, our stewardship, education and operations staff along with determined and generous volunteers began a 5-month labor of love to ready our trails and fine-tune our education materials to address this major ecological event. 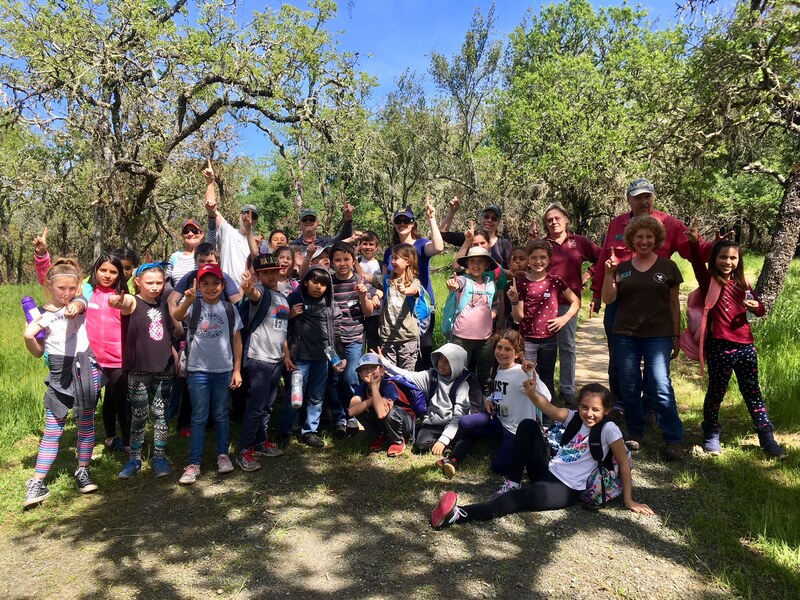 Tuesday, March 27 marked day ONE of Bouverie Preserve's 2018 Spring Hiking Season for 3rd and 4th graders, and it went off without a hitch. The Living with Lions Project has had a busy start to the year since replacing our essential equipment lost in the fires. A huge thanks to all our donors who contributed to this effort. Unfortunately, the electronic walk-through traps designed and built last year were all destroyed in the fires and will take some time to rebuild. 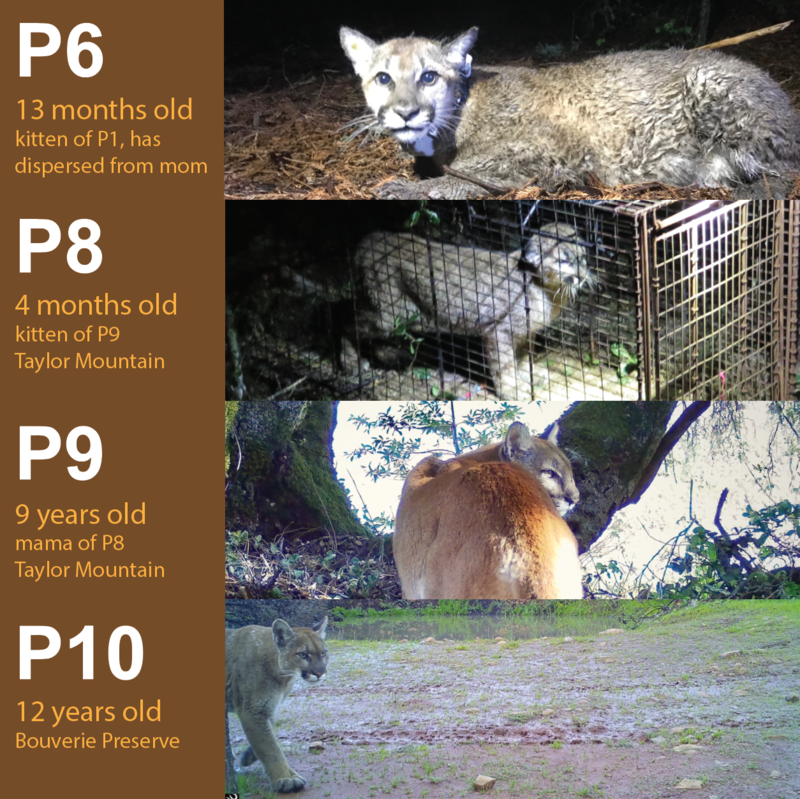 This means that we have returned to attracting mountain lions to the cagetrap using roadkill deer carcasses as bait. What a mission! For one, winter is not a time where many deer are killed on the roads it seems - which is good for the deer, but not for baiting. Also, capture success of lions using baits in our area has typically been low, possibly due to an abundance of food. ACR avian ecologist David Lumpkin, who works from our Cypress Grove Research Center on Tomales Bay, had what birders will agree is a personal best: he spotted a banded hermit thrush hanging around the bridge over Livermore Marsh and managed to photograph the band numbers with enough clarity to track the bird back to its banding date and location. 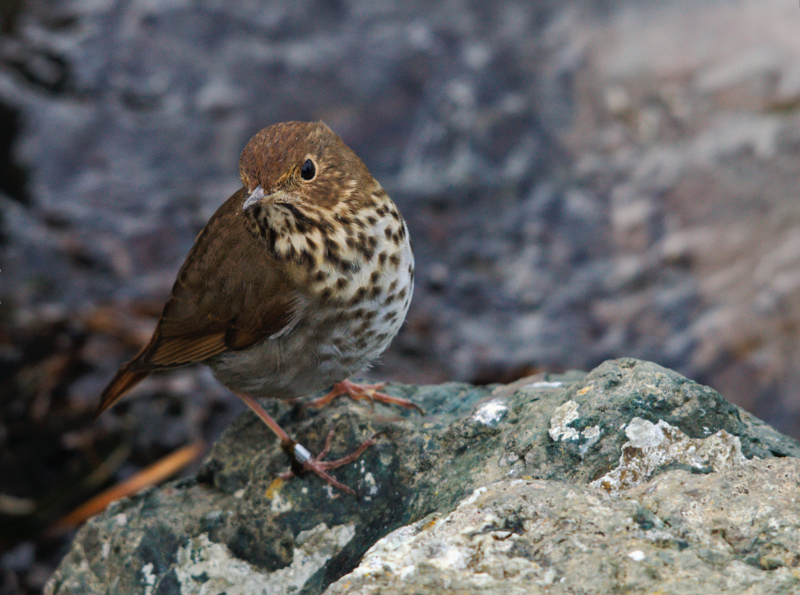 Turns out this little thrush had arrived all the way from Victoria, B.C., having been banded in September 2017.